Contracts are created, managed, corrected and searched every day in companies. But how do you keep track of contracts and contract content? When may contracts be terminated or renegotiated? How to avoid mistakes to avert high financial damages or to use savings potential? With bpi contract for OS enaio® bpi solutions provides a template to simplify the processes of contracting with the enterprise content management solution enaio®. The solution has evolved over the years from customer requirements and is now available as a standard module. The electronic contract file bpi contract for OS enaio® can be implemented easily and quickly within an existing IT structure. The prerequisite is the use of the ECM solution enaio® by OPTIMAL SYSTEMS. 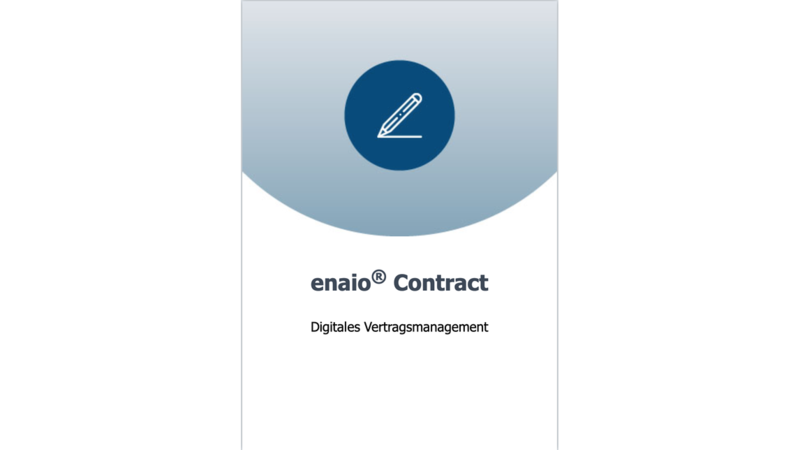 The contract management template bpi contract for OS enaio® goes beyond the basic functions of the OPTIMAL SYSTEMS ECM system and ensures the constant availability, security and confidentiality of all your contracts - even in distributed locations. bpi contract for OS enaio® can simplify inventory management systems, eg. As integrate ERP systems such as SAP, and carry out an automated data synchronization with the leading system. Contract data and documents can be configured directly from the SAP system. The transaction-related filing structure provides an overview of current contracts and contractual objects as well as contractually relevant contents, persons and documents. With bpi contract for OS enaio®, you control all processes - from creation through approval to completion and archiving. In all phases of contract management you have a complete overview of all contract-relevant information, you can easily create business documents and be sure that the business processes are accurately logged.